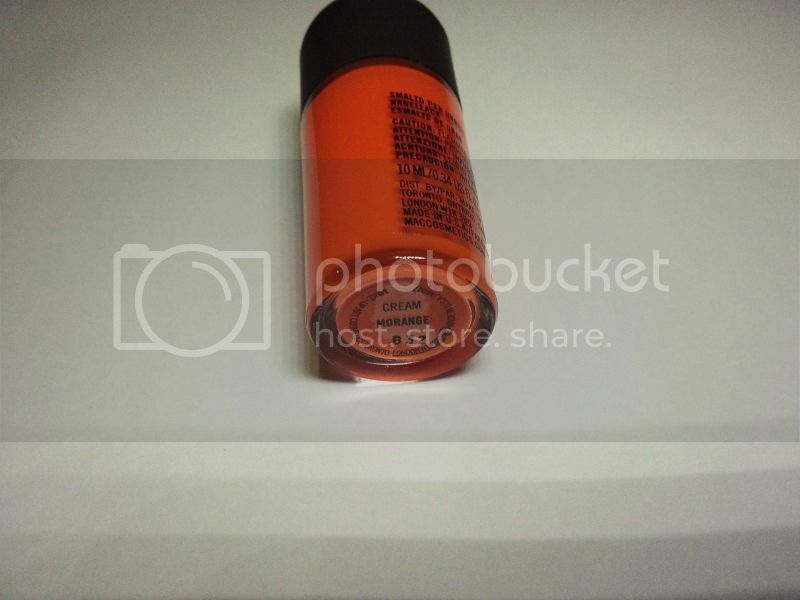 The press bag I got from the launch of the MAC store at the Palms had the MAC nail polish in Morange. 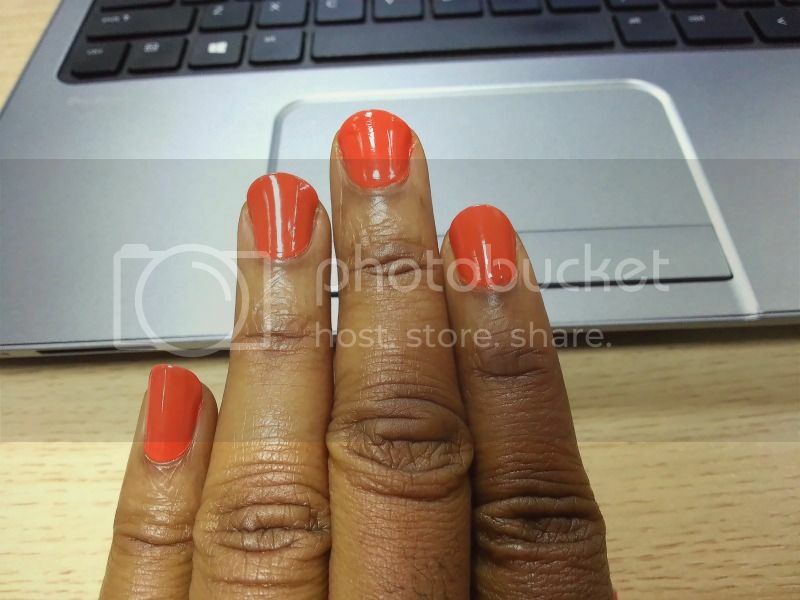 Not being one to use nail polish on short nails and also not being convinced that it looked good on my skin along with not being confident enough to show it off as I felt it was too bright, it has been lying down for months now. My recent spate of nail boldness has brought it into the limelight. this is after about 2 days of wear. 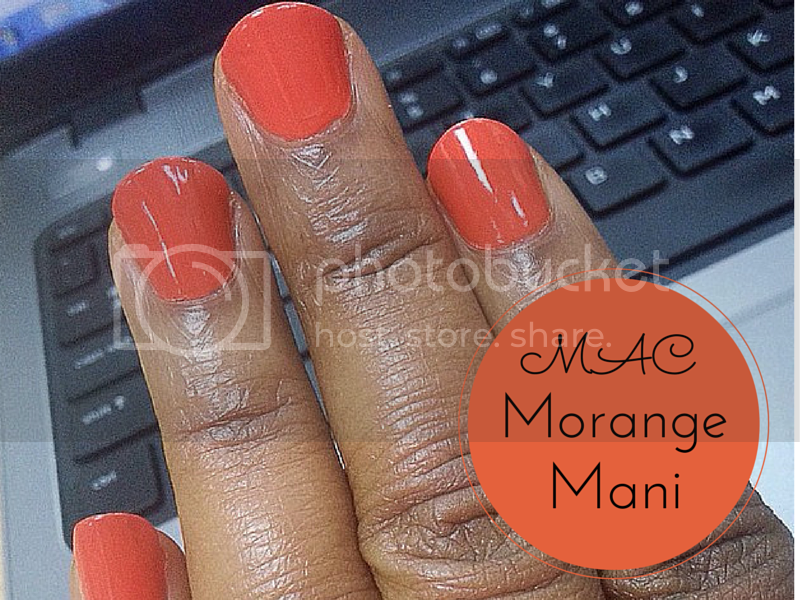 Morange, like its lipstick counterpart is a true orange shade. Now I have had a chance to wear it, I absolutely love it. It has a thick consistency so one has to be thoroughly careful during application. 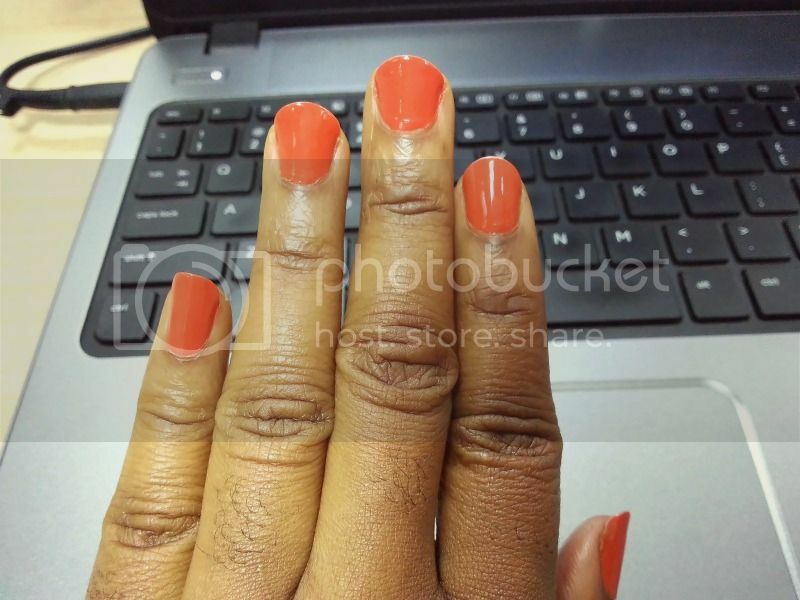 One coat is usually opaque enough but I have on 2 coats just to be sure. the nail strengthener I got from a neighbourhood store. It has worked wonders for my nails and helped it last for quite a bit. i still do need nail treatment but in the meantime, I highly recommend this. 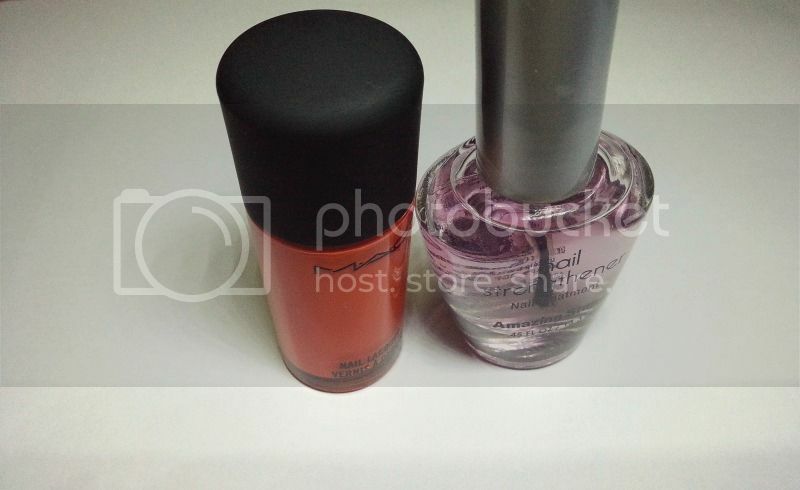 i use it mainly as a base coat and when i'm lazy as a top coat too, lol.